Dark Chocolate Orange Crisps. 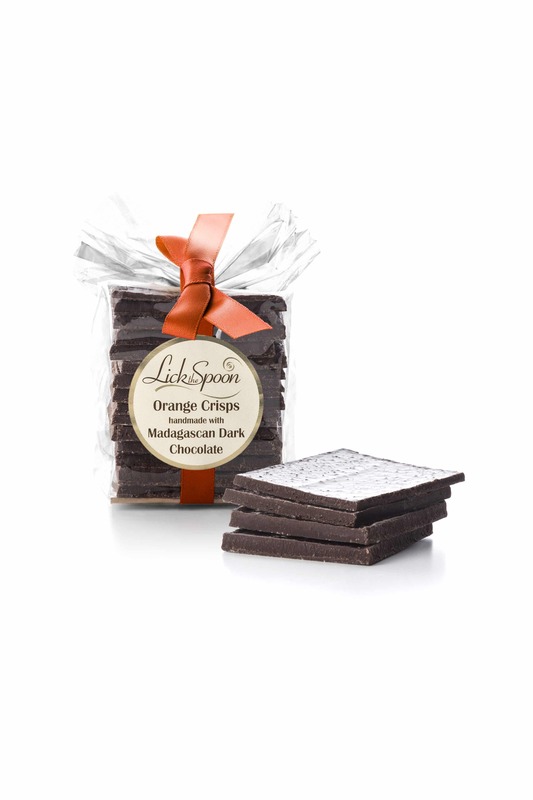 Delicious dark single origin chocolate, infused with orange oil. Perfect for a dinner party gift, your very best friends and loved ones or keep a secret stash all for yourself! Vegan Friendly. Compostable plastic free packaging. The clear bags the crisps are packed in are made from film that is both biodegradable and compostable in compliance with EN13432. This breaks down within a natural environment within 22 days and actually helps to enrich the soil in the process. The brown card bases are manufactured from pulp paper sourced from managed sustainable plantations.